Guests may use gate receipt towards purchase of membership if purchased on same day as entry. Redemption must be in person while still on the grounds. Special rates are offered for group tours. Please call (615) 353-9827 for more details. No firearms are allowed on the Cheekwood property. From I-440 E, take the West End Avenue west / US-70S exit; Travel 2.1 miles and take a left onto Belle Meade Boulevard; travel to the end of Belle Meade Boulevard (approx. 2 1/2 miles) and turn right onto Page Road; turn left from Page Road onto Forrest Park Drive (the first street on the left); Cheekwood is at the top of Forrest Park Drive on the right. The history and origin of Cheekwood are intimately interwoven with the growth of Nashville, the Maxwell House coffee brand and the Cheeks, one of the city's early entrepreneurial families. Christopher T. Cheek moved to Nashville in the 1880's and founded a wholesale grocery business. His son, Leslie Cheek joined him as a partner. In 1896, Leslie Cheek married Mabel Wood of Clarksville, Tennessee. Their son, Leslie, Jr. was born in 1908 and their daughter, Huldah, in 1915. By that year, Leslie Cheek was president of the family firm. Leslie and Mabel Cheek moved into the mansion in January 1933. Leslie Cheek lived at Cheekwood for just two years before his death at 61. In 1943, Mabel Cheek deeded the house to her daughter, Huldah Cheek Sharp and her husband, Walter Sharp. The Sharps lived at Cheekwood until the 1950s when they offered it as a site for a botanical garden and art museum. The development of the property was spearheaded by the Exchange Club of Nashville, the Horticultural Society of Middle Tennessee and many other civic groups. The Nashville Museum of Art donated its permanent collections and proceeds from the sale of its building to the effort. The new Cheekwood opened to the public in 1960. The Cheekwood gardens are seen and enjoyed by over 175,000 visitors each year. The property was once the elegant home of the Cheek family. The fifty-five acre site includes the original Cheek gardens, designed by Bryant Fleming, with pools, fountains, statuary, extensive boxwood plantings and breathtaking views of the rolling Tennessee hills. Cheekwood was opened to the public in 1960 and the many specialized gardens have developed since that time. Visitors will discover a Japanese garden, an herb garden, two perennial gardens, a color garden, water garden, seasons garden and an award-winning wildflower garden. Each garden has a special purpose presenting a particular group of plants or garden style. Botanic Hall, the center of the horticultural activities, has art and horticultural exhibits, flower shows, an exceptional library and the annual Holiday Fest celebration. 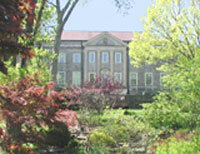 Cheekwood’s art collection was founded in 1959 upon the holdings of the former Nashville Museum of Art. 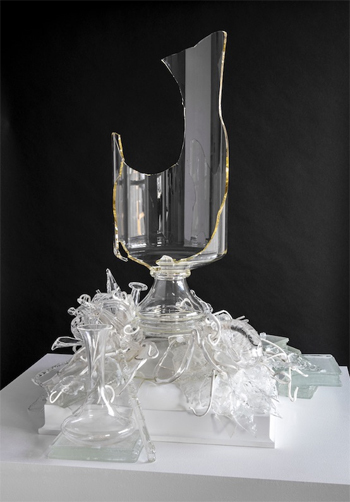 The core holdings include broad collections of American art; American and British decorative arts; contemporary art, especially outdoor sculpture acquired for the Woodland Sculpture Trail. The Carell Woodland Sculpture Trail is a unique attraction among American art museums - a place where contemporary sculpture by internationally recognized artists is integrated into reclaimed woodland. Its wood-chip paths are rugged and stretch more than one mile. The area is being restored by removing invasive exotic plants and reintroducing native species. Eastern red cedar, black locust and hackberry - all tolerant of shallow soils - give way to hickory, oak, black cherry, ash and persimmon. As you walk the trail, experience the synthesis of art and nature.